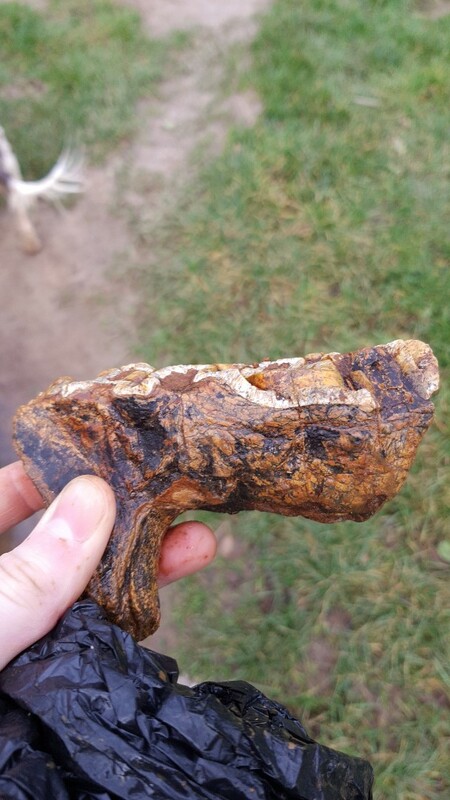 Sorry I'm new to all this but a recent find on a Suffolk beach. Any help on an I.D would be much appreciated. Sorry for the poor angles on the photos more can be taken if needed. Thanks for any help. My fairly uneducated guess is some sort of Jaw bone with teeth in situ. 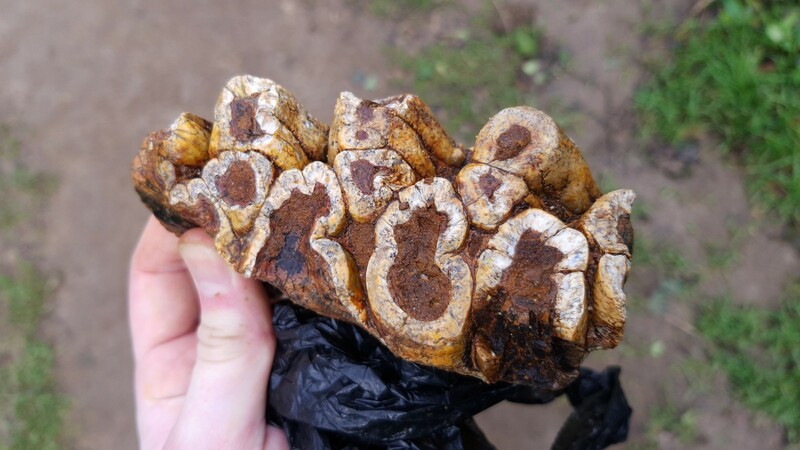 This is a Mastodon tooth, they don't turn up very often so are rare. It also has the root in tact which is even more rare. Can you PM me the location, the reason is the if this is where I think its from, we are currently doing a lot of ongoing research here. What can I say! An exceptional find, well done. Thank you very much for the I.D and information it's much appreciated. Could anybody give me some advice on preserving it please or would it be better left as found. Thanks again guys this is a brilliant Forum with some very knowledgeable people. Hello, since you found this tooth at a beach, I think it would be wise to desalinate it. You can do this simply by putting it in the water reservoir of your toilet. Leave it there about 8 weeks. Afterwards dry it slowly in a cool but frostfree place; you can do this by wrapping it in wet tissuepaper and putting this in a plastic bag. When dry it is a good idea to impregnate it with Paraloid in acetone. Check it during the proces every fortnight for cracking. As this is a very rare find it deserves the best treatment you can give it. And please show us the end result. Great find Matt and brilliant advise from Bert. What an incredible find! Nicely spotted. 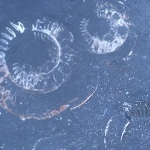 I count myself extremely lucky if I find more than half an ammonite, so rather jealous! Thank you all for the kind words and thanks to Bert for the fantastic advise which I am following and I shall update you once it's complete.